According to the rules of IATF, no new audits can be conducted to ISO/TS 16949:2009 after 1 October 2017, including the initial, surveillance and recertification or transfer audits. And all certificates to ISO/TS 16949:2009 will no longer be valid after 14 September 2018. As IATF16949 is gradually replacing ISO/TS16949, it is important to know that there are differences between IATF 16949 and ISO/TS 16949. Specifically, IATF 16949 has 22 new clauses, 175 clauses that are also different from ISO/TS16949, and 6 new requirements from ISO. More and more suppliers have now made the transition from ISO/TS 16949:2009 to IATF 16949:2016 since October of 2017. To international buyers, these companies have obviously taken serious and timely step to become IATF 16949 compliant, and therefore remain qualified as their suppliers. 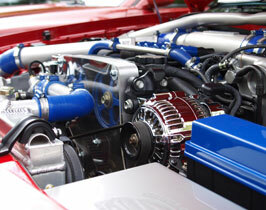 However as many buyers are not familiar with the detailed requirements of IATF 16949:2016, they tend to judge a supplier’s qualification by simply making sure the supplier has become IATF 14949 certified, rather than understanding how the IATF 1694 certification has been obtained and whether the supplier actually operates according to the new IATF requirements. Despite clear and strict rules and regulations by IATF on the certification process, we have already discovered “tricks” played by some suppliers in the certification process. For example, some factories simply changed the cover page of their original ISO/TS16949:2009 certification documents to that of IATF16949:2016. Some did not even bother to update the original document version numbers, the content pages, or the count of the procedure documents. There are also factories that have actually transitioned to IATF 16949 with new quality manuals and procedure documentations, yet many of these procedures and requirements, especially those at the third- and fourth-levels, have not been completely implemented in production. Obviously the fact that a supplier now has a new IATF certificate does not necessarily mean they are indeed compliant with the new standards. The key remains to be on-site evaluations to check whether their actual QMS meet the standards and provide the required quality assurance. 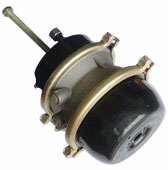 Brake chamber is divided into single-chamber and double-chamber.There are also two types of the double chamber, with Dual diaphragm and Piston. 2. Spring performance below standard, resulting in insufficient braking, easy to slip off when braking at ramp. 4. Welding process design should be reasonable to avoid stress concentration. People with no technical knowledge of the brake chambers should not attempt to disassemble and repair the products on their own, as the springs inside the chambers may cause serious injury or even death with improper operations. The standards to be developed, as proposed by the Alliance of Automotive Aftermarket Quality Assurance (AAAQA) include the Automotive Aftermarket Quality Management System (QMS) Standard and the Automotive Aftermarket Quality Assurance Capability Assessment Standard. Referencing the theories, principles and methodologies of ISO 9001 and IATF 16949, the automotive aftermarket QMS standards will take into considerations the unique nature and environment of the aftermarket. They are applicable to the global aftermarket industry and can be voluntarily adopted by the aftermarket supply chain organizations. The rating after the assessment would include indicators of the company size and the specific product properties, therefore the inherent quality risks, other than the assessed level of the quality assurance strength. With the winding down of the Spring Festival in late February, 2018 gets truly started in China. While most organizations and companies will start their plan for the New Year after the holiday, owners and managers at many factories will be faced with some tough issues as they do every year, other than the missed business because of the almost monthly-long production stoppage during the festival. As most workers from remote areas gradually return to work, one of the problems is the lack of sufficient manpower at the production lines. More seriously, since workers have stayed away from their production posts for an extended period of time, factories will have to be particularly careful about quality controls with people either not yet recovered from the holidays or just becoming rusty with their technical skills. For international buyers planning to resume their Chinese supplier visits, the earliest time to start is perhaps the first full week in March.